It’s time to start wrapping up the year – everyone tries to get their round-ups done before Christmas, but I have the added luxury of posting a story every day, no holidays. I don’t know about you, but for me this year flew past way too quickly. 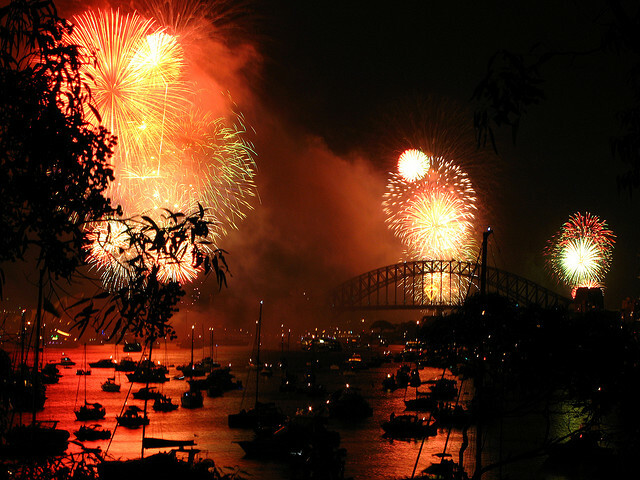 Still, with ten days left until 2015, I’ve decided to celebrate the calendary change with a completely arbitrary wrap-up featuring ten different items – from interesting scientific breakthroughs, to sci-fi, to weird science. What could possibly hide underneath the title of a Nature Methods paper “Rovers minimize human disturbance in research on wild animals”? Baby penguin rover, that’s what. Researchers needs to be inventive if they want to study wild animals without stressing them out. In one of the experiments for this study researchers tagged king penguins with heart rate monitors and sent a small four-wheeled rover the following day to gather the data. This worked fine, but no scientist would stop there. 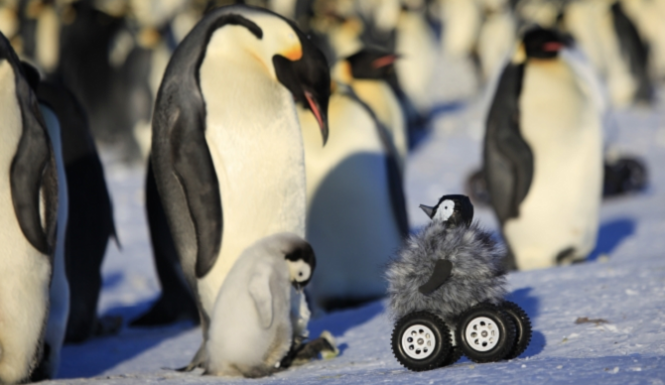 In a related experiment they sent the rover to a bunch of emperor penguins – notoriously shy species – but they dressed it up as a penguin chick. Not only did this dress-up trick work remarkably well, it also yielded some of the cutest supplementary material Nature Publishing would have seen all year. 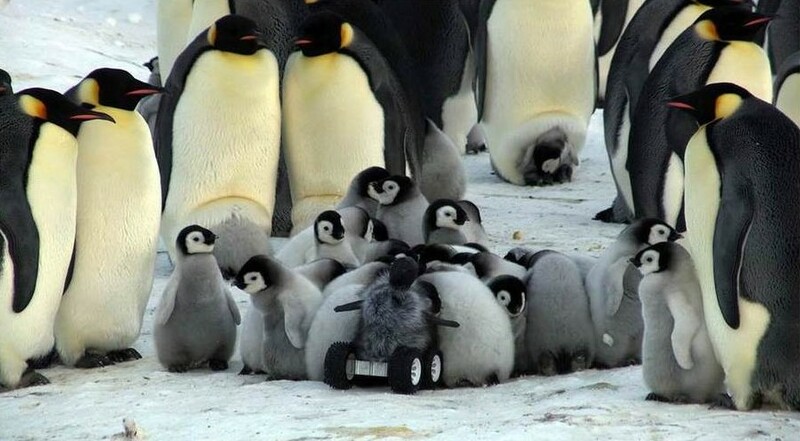 Rover camouflaged with an emperor penguin chick model “huddling” with chicks in a crèche. Just look at that huddling!